Better hearing and a better quality of life can be yours for many years with the help of the right hearing professional. At Windsor Audiology, we pride ourselves on developing long-term relationships with our patients. Relationships based on unsurpassed personal service that begins the first time you walk through our doors and continues long after your initial appointment. Call us today at 970-528-5060. Northern Colorado’s premier hearing care provider, Leann Johnson, is a board-certified audiologist who truly cares about her patients. She has dedicated her professional career to helping people hear, treating tinnitus, and to furthering her knowledge of diagnosis of the audiology system so she can serve her community as a skilled practitioner and expert in her field. She has an extensive background in audiology and tinnitus disorders, as well as expertise in auditory diseases. 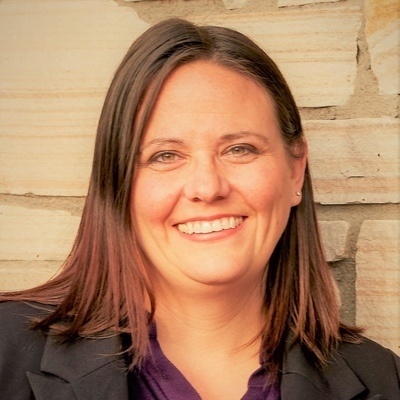 Dr. Johnson received her bachelor’s degree in Communication Disorders in 2011 and her Doctorate of Audiology in 2015 from the University of Northern Colorado. She recently practiced with a well-known Ear, Nose, and Throat physician in Fort Collins, CO, where she expanded her knowledge of diseases of the auditory system, as well as tinnitus disorders. She holds Board Certification through the American Board of Audiology, is a Fellow of the American Academy of Audiology, and holds her Clinical Competence Certificate in Audiology from the American Speech Language Hearing Association. Dr. Johnson is the sole-provider and owner of Windsor Audiology. She began the practice in 2016 after she realized a large portion of Northern Colorado, Windsor, and the I-25 corridor had no options for hearing healthcare. Dr. Johnson has fit, programmed, and repaired all makes and models of hearing aids. This means Windsor Audiology can handle repair work on almost all hearing aids, including Widex, Starkey, Unitron, Phonak, Siemens, Oticon, Signia, GN ReSound, and Sonic Innovations. Bring us any hearing aid and we will be happy to take a look at it and see if we can fix it up for you quickly. Many times, the purchase of a new unit can be delayed simply by having the old one repaired. While we can’t guarantee yours can be fixed, we’ll do our best to troubleshoot the issue and address it, if possible. Evan was born and raised in Greeley CO. At 20 she moved to Florida and settled in there for 16 years. It was in Florida that she met the two loves of her life, her husband John and the hearing care industry. Before moving back to Colorado, to be closer to family, Evan was the Practice Manager at a private hearing clinic in St. Augustine, Florida. She has been in the hearing care industry for five years prior to joining Dr. Johnson at Windsor Audiology. Evan earned her Associates Degree at St. Johns River State College in 2012 and her Audiology Assistant Certification through NOVA SE University in 2015. Evan lives in the Firestone area, is a mother of three rambunctious kids, and has been married for 12 years to her husband John. When she isn’t at the office she enjoys spending time with her family, playing video games, reading, watching Star Wars and superhero movies, and you may even catch her in costume at comic book conventions!